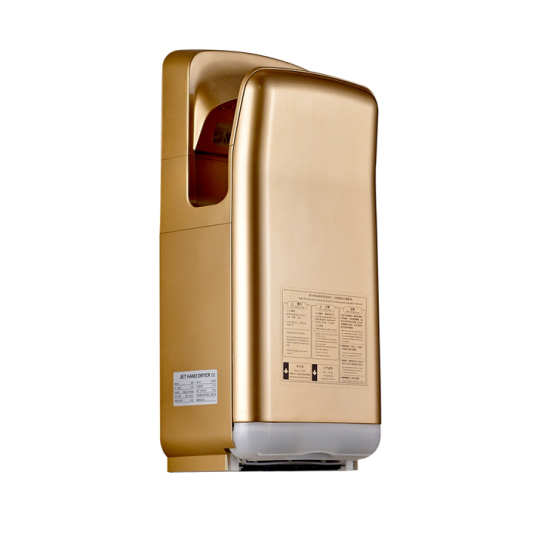 Best saving cost jet hand dryer, Air temperature, on/off, Speed Control (brushless motor only)all shift in one integrated button, Easy operation blade hand dryer. 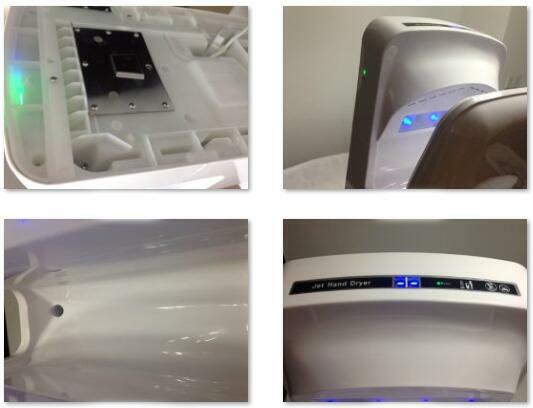 Energy saving: optional hot or cold airflow by long touching power on button, the unheated model run at only 650 watts, energy saving. 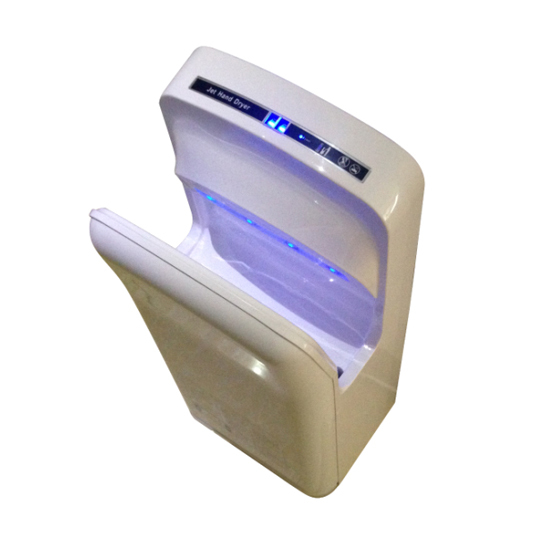 Sanitary: hands never need to touch the dryer so its usage is extremely sanitary. Plus, no paper waste is generated so restrooms always appear cleaner. High performance: the more it is used, the greater the savings. Operation is easy: just insert your hands and then slowly withdraw them. 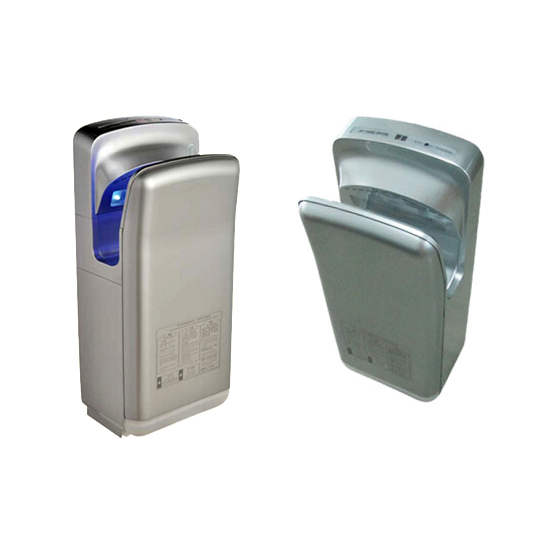 Drying Fast: dry hands within 9 seconds, the high-speed Jet dryer's strong air current removes water from the both sides of the hands with a powerful gust measuring 90 meters per second. 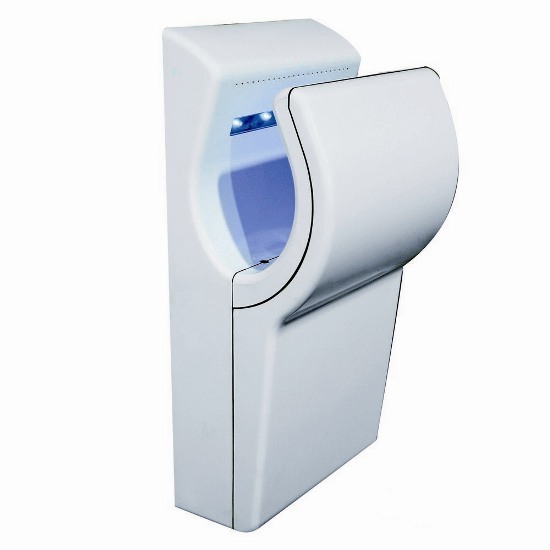 Built-in Blue light: there is light inside hand-drying slot to be easily used in darkness. 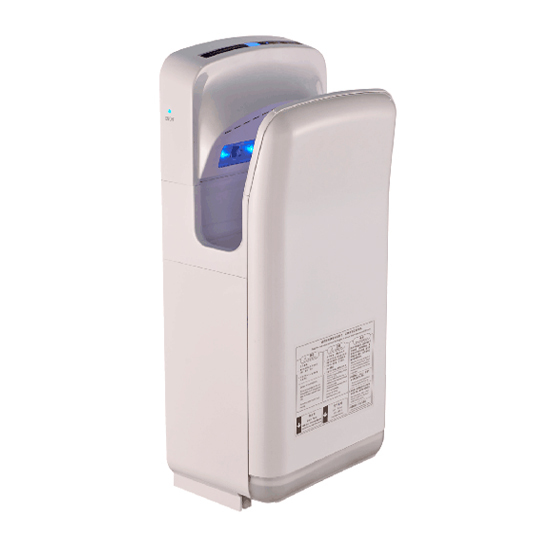 Easy Maintenance: water blown off the hands is collected in the unit's drain tank, so the floor stays dry. 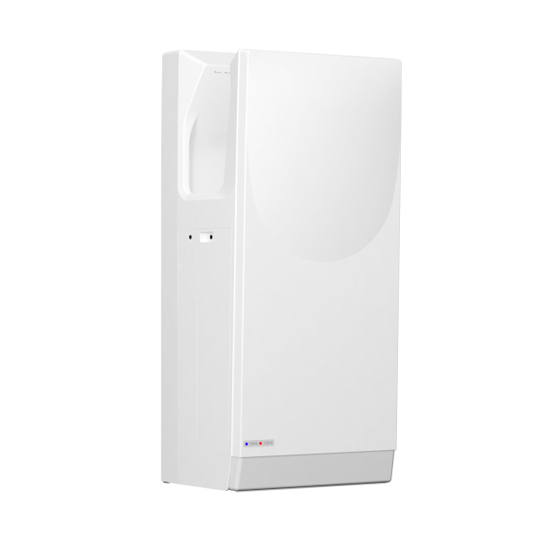 Long useful life: up to 7 to 10 years. Environmentally friendly: by eliminating paper waste, fewer natural resources are consumed, which reflects positively on any operator who chooses the Jet dryer. No touch hand free operation. Cool/Hot air Shift in one button. 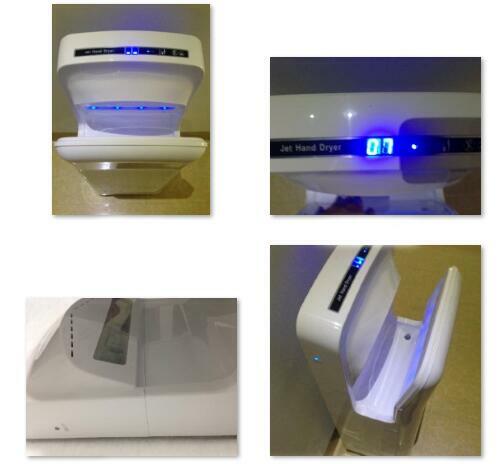 With the built-in blue LED light. Switch: Automatic shut-off after 20 seconds.